Earlier last month, we launched our Cinnamon Streusel soft serve frozen yogurt available at our Ü Serve and We Serve locations. 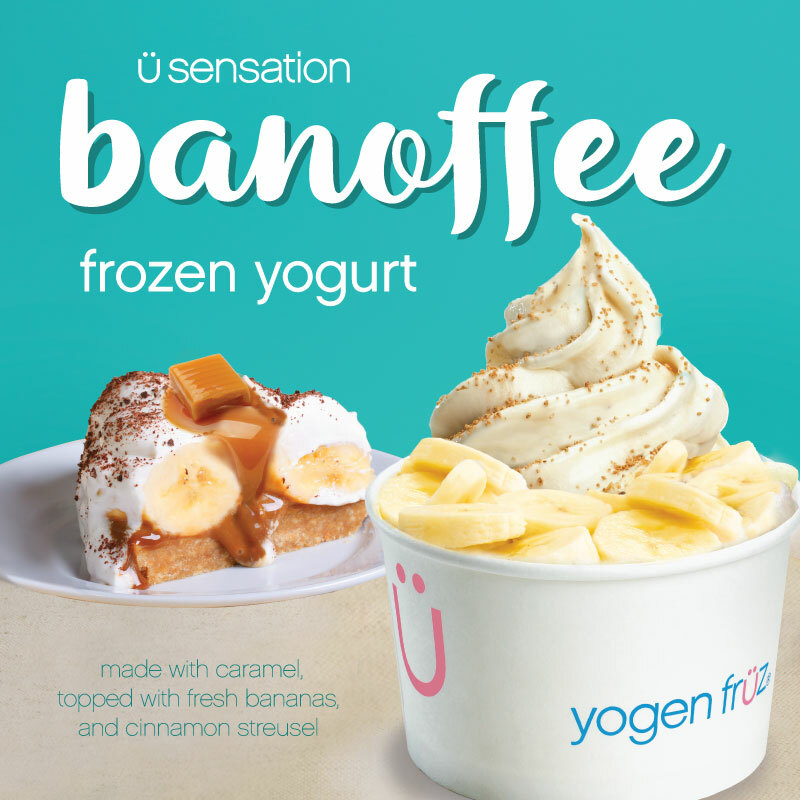 Now we are excited to introduce our new Fall Ü Sensation that will be available at any full-serve Yogen Früz! Introducing Banoffee Ü Sensation, a creamy frozen treat that is inspired by the English Dessert— Banoffee Pie. We created this flavour by blending salted caramel with our frozen yogurt bars, topping the perfect swirl with cinnamon streusel crunch to mimic the pie crust, and last but not least fresh bananas to make it extra delicious! This season is all about fuzzy sweaters, animal prints and creamy, cinnamon desserts! What’s not to lüv about Fall? Click here for Banoffee Ü Sensation’s nutritional information—Canadian version. Click here for Banoffee Ü Sensation’s nutritional information—USA version.